California girl is loving exploring Chicago again this year, but really, really does not appreciate the weather that makes me cold to the marrow in my bones. The temperatures are the same as what we get at the hideaway, but temperature vs. what it actually feels like are 2 different things. And it doesn't help that I think I have a cold. Regardless, I made the most of my 1st day. Decided to start the day on the 99th floor of the Sears Tower. 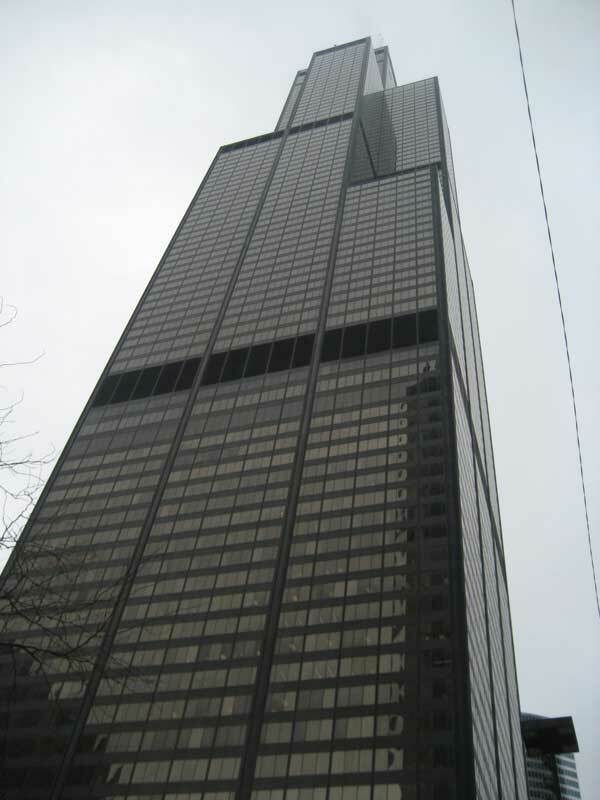 Until 1998, it was the world's tallest skyscraper and it's still the United State's tallest. It was a very hazy day, but you could still see out for a few miles out since there were no low clouds. 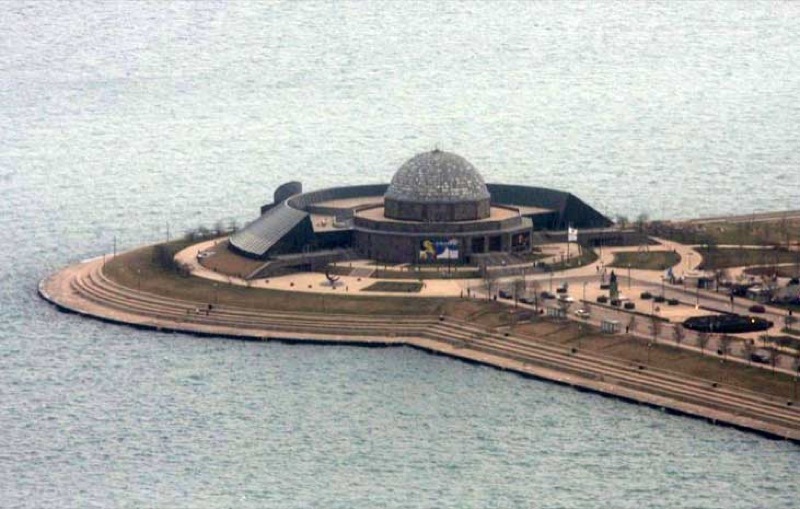 This is the Adler Planetarium. Next on my journey. In the 5th grade I wanted to become an astronaut and still find myself drawn to the stars. This is the Shedd Aquarium. On my to-do agenda. 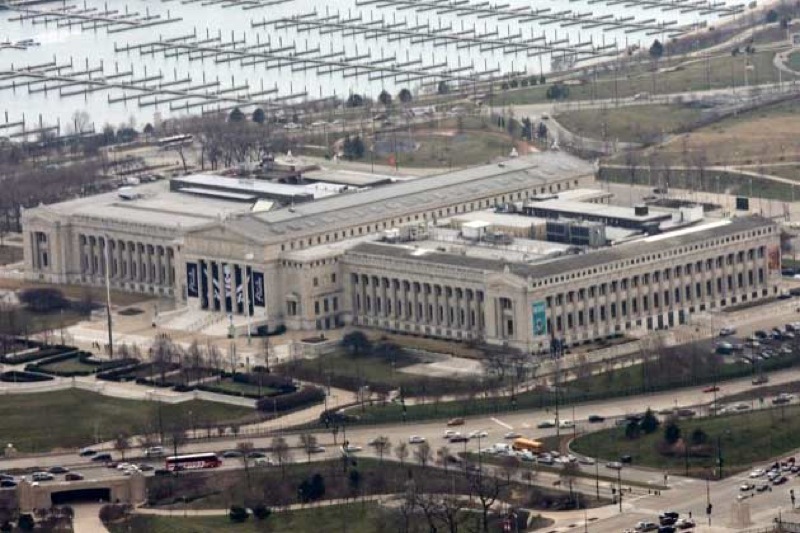 And this is the Field Museum. Also on my to-do list. I enjoyed the views up there for nearly an hour. btw, this is how hazy it was up there. The photos above were 'cleaned up' so you could see the details. After 2 train transfers and a short bus ride, I was ready to explore the Adler Planetarium. Unfortunately, it wasn't nearly as interesting as I had hoped it would be. I heard that a big part of the exhibits are the 30-45 min movies they show and I didn't have enough time to see any of them. The city skyline view from the Planetarium was spectacular, too. And it was starting to clear up! Walking around Grant Park, I saw these incredible faceless sculptures. Rusted legs all over. Had no idea what they were but thank God for the internet! It's "Agora" by artist Magdalena Abakanowicz, a Polish artist who created this forest of 109 headless, 9-foot tall human figures. It was odd walking through them. I felt a little overwhelmed, claustrophobic, a part of them and a little scared. I liked it a lot. I like it when art does that to me. It was probably the highlight of my day. Which was good, because my day adventuring alone was just about done. I walked to the Buckingham Fountain, which, curses, was under renovation. Got some Garrett Popcorn and jumped on the EL back to the hotel by 5:30. Jimmy was done for the day a little after 6. Then we jumped back on the EL and had dinner at a local Chicago Pizza favorite, Lou Malnati's. Today I'm laying low. It's suppose to rain and snow and I don't want to get caught out when the weather hits feeling a little under the weather myself. Hopefully I'll get to explore a bit more before heading home late Monday afternoon. There's lot more I want to see. Have I told you I am jealous you are in Chicago? Enjoy. The sculpture park is amazing and I love how you described what you felt walking through those legs...so cool! Oh, you are having such a great time in Chicago. 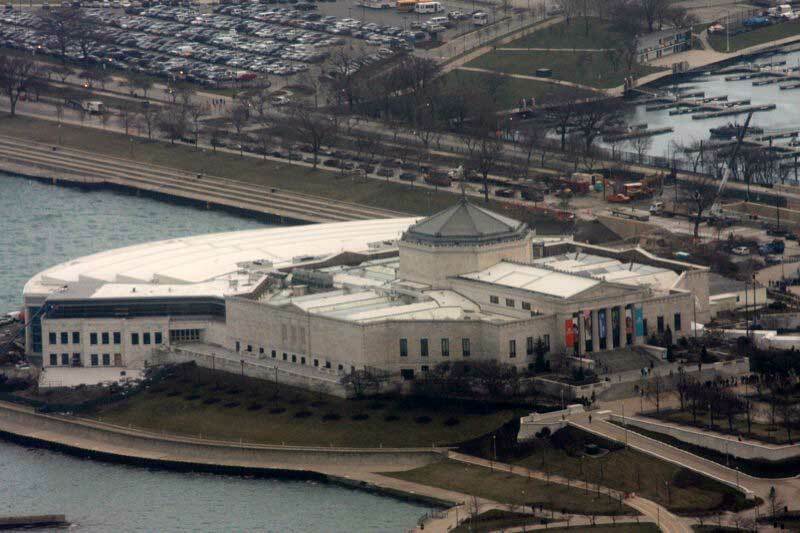 I've been to Chicago a couple of times... went to the Shedd Aquarium, it's great! I am assuming you are there sightseeing while Jimmy goes to a meeting or a conference or some such thing! Tell him to have the next conference in Toronto! 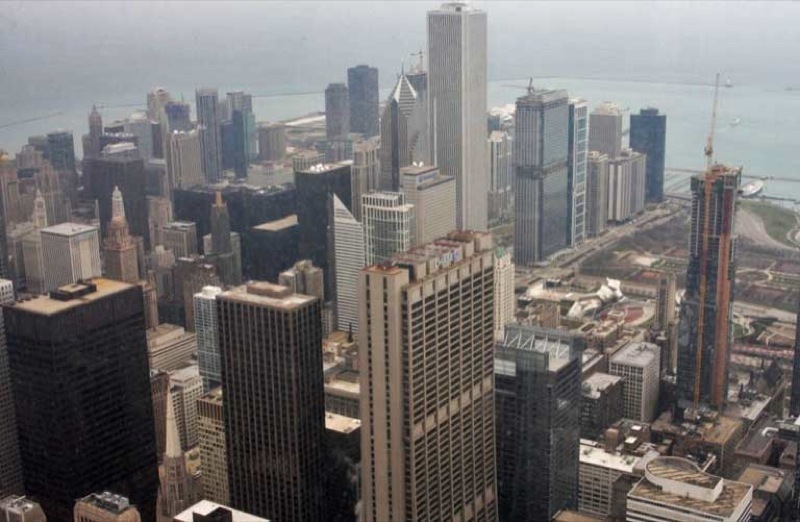 Believe it or not, Mad, I lived in Chicago a year but never really saw most of it! That was a long time ago (1965-66). If I went back there now, I'd want to see what YOU have seen!